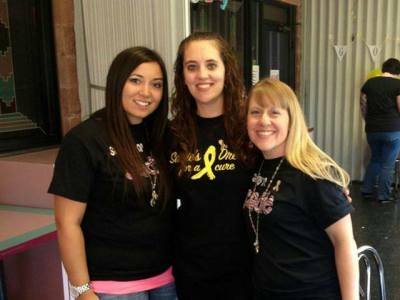 Sadies dream for a Cure Inc.
Sadie's Dream for a Cure is a 501(c)(3)tax exempt charitable organization which provides support for families in crisis following a pediatric cancer diagnosis. We were founded in 2012, a year after our own little Sadie was diagnosed with Neuroblastoma at six months of age. Our Sadie is still fighting her battle. But our lives were touched by the many people who reached out to us and said "how can we help." The need for help for pediatric cancer families is great. No parent should have to choose between going to work and staying with their child who is hospitalized with cancer. Yet this is a day to day reality for many families. Our mission is to help families during such difficult times by providing emotional and financial support. 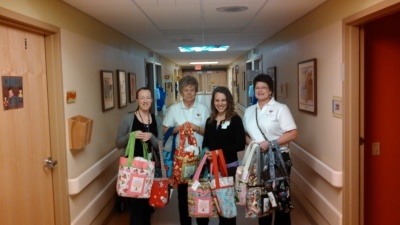 We provide hospitals with reusable fabric tote bags to distribute filled with activities for children going through cancer treatment, such as puzzles, coloring books, legos, books, and other items to keep a hospitalized child entertained. We also provide hospitals with tote bags todistributeto families, filled with emergency supplies such as toothbrushes, shampoo, socks, hair brushes, and other items that parents needs when theyfindthemselvesunexpectely in the hospital. These tote bags are made by our volunteers, who donate their time and talent to help families in crisis. In 2015, we will reached a major milestone, with the donation of our 1,000th bag. By the end of 2016, we had donoted over 2,100 Busy Bags to pediatric cancer centers in 16 different states, and our reach is growing every year. We are honored to be able to carry out this mission of hope and to let families fighting this battle that they are not alone. However, we can't do it without your help. Although our Board of Directors and Executive Team are all volunteers and DO NOT receive a salary, we have expenses for making bags and filling bags and providing financial support. We hope that you will consider making a donation to assist us. Your donation will directly benefit pediatric cancer patients and their families. A donation of $25.00 will supply one tote bag to a child or parent. We are a 501(c)(3) charitable organization, and any donation of money, time,orgoodsistax deductible to the extent permitted by law. please contact us for more information about how you can help!